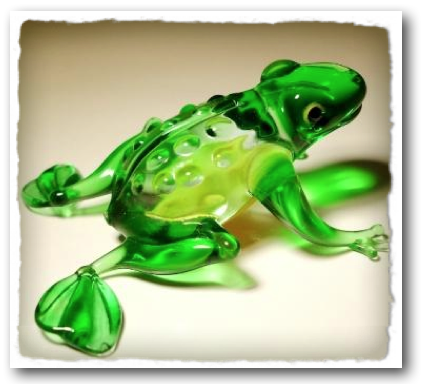 You've probably seen Glass fish, the see-through kind, at the pet store. 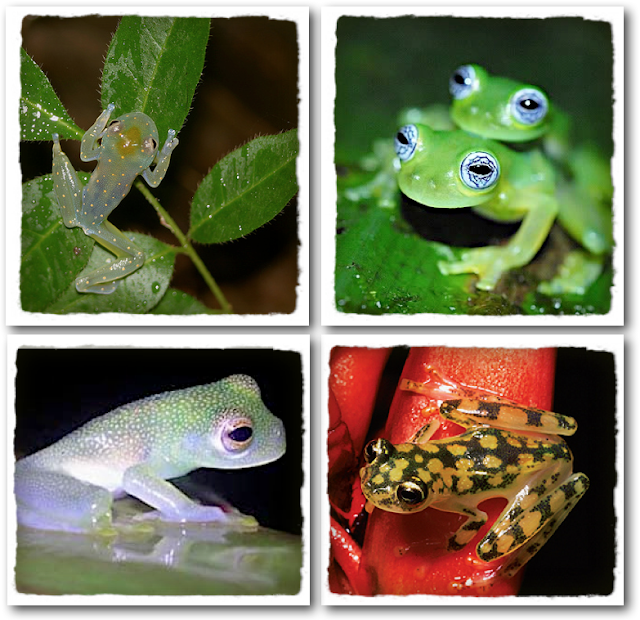 But have you ever heard of the Glass frog? That's him, above. 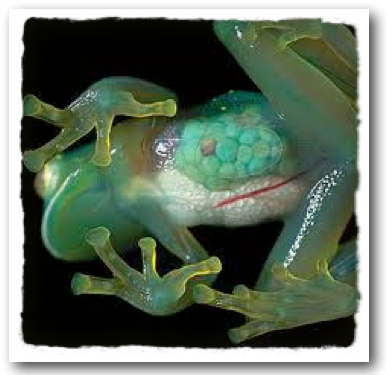 The light under him goes through the leaf, and then shines right through him, turning him into a neon frog! But there's the under side as well, which is even more amazing. And maybe a bit gross. Okay, here it is! A great shot of the topside and underbelly of a Glass frog. 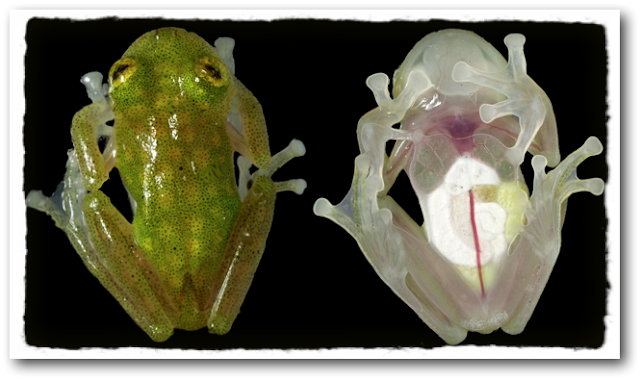 Now let's take a look at the topsides of a few really amazing Glass frogs (you may recognize our old friend, the Hypnotoad, among them). I personally like the orange-dotted guy, top left. The bottom left guy reminds me of some kind of candy you'd want to just pop in your mouth. Although on second thought....ewwww! Which frog do you like? Ha ha. 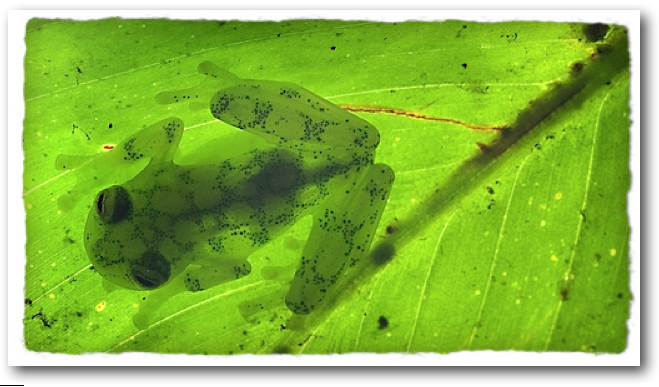 Got any Glass frog thoughts?